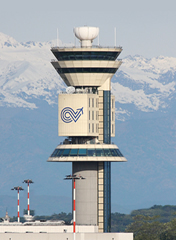 Malpensa Airport is located in Somma Lombardo in Italy. The distance between this airport and the Italian city of Milan is approximately 40 kilometers. This airport is also very well connected to the numerous sights that the city has to offer. These include Lakes Maggiore and Como, and which are very scenic and popular destinations. Malpensa Airport is in the province of Varese and its location makes it very convenient to access via train, bus, taxi or personal vehicle. Additionally, this airport is found within the north westerly suburbs and close to Case Nouve, Ferno and Lonate Pozzolo, and is connected to the city of Milan both by the Malpensa Express train and the Milano Varese Highway. The fact that Malpensa Airport is located slightly outside the metropolitan area of Milan enables it to be easily accessible, and its presence contributes considerably to the growth of the city.